8 Fabulous Fences | Wood. It's Real. | Wood. It's Real. 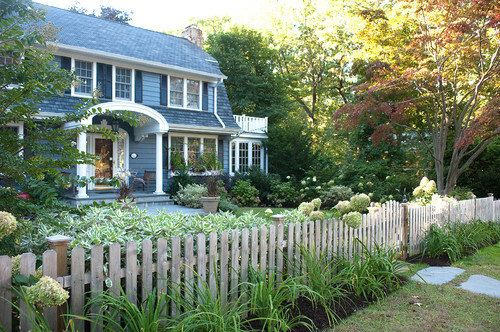 Nothing puts the finishing touch on your landscaping quite like a fabulous fence. Pressure treated Southern Yellow Pine is the ideal choice for a natural-looking fence that stands up to the elements. Best of all, wood lets you get truly creative because you can cut it any way you like for a custom fence. Why be just like everyone else when your home can really stand out from the rest? 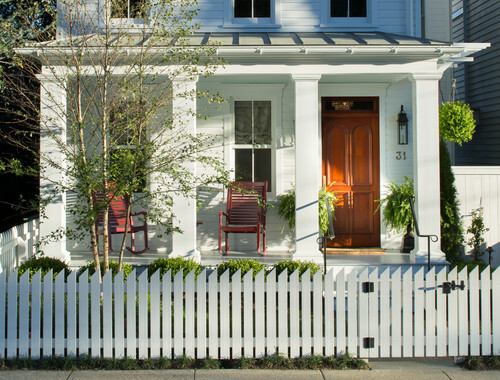 To get your DIY juices flowing, check out some of our favorite fence designs. 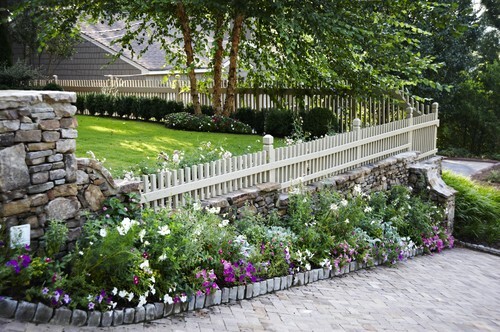 Turn those traditional pickets around for a modern take on a privacy fence. 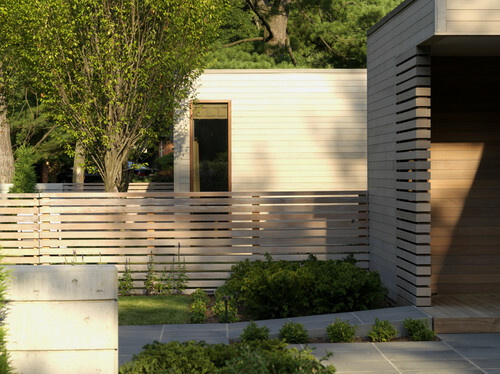 Horizontal slats create long, low lines that look great with modern architecture while thwarting prying eyes. If you already have a low stone wall, adding a fence above it will give you the height you need to keep pets and kids in their place. Mixed materials add interest, and this is a great solution for a sloped yard that could benefit from a retaining wall. 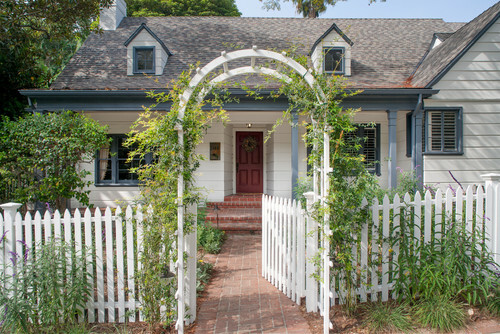 Take your gate from drab to fab by adding height with an arched pergola. This extra touch shows guests exactly where to enter and can highlight your front door. Add some climbing vines for a spectacular summer show. Who says pickets have to be pointy? Make three cuts instead of two to make a flat top for a softer look. This design is practically begging you to run your hand along the top of the fence as you walk by. Get dimensional by replacing flat pickets with miniature square posts instead. 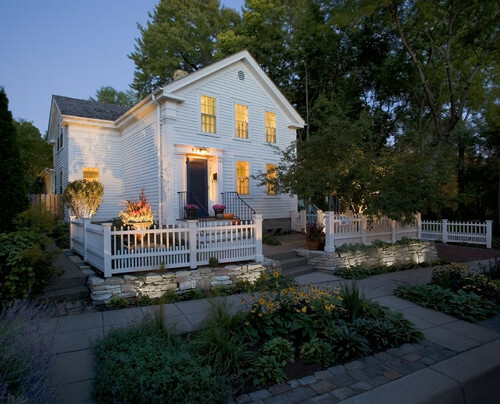 We love the way this one doubles up the posts below but lets them thin out near the top for a better look at the house. Sometimes the simplest look is the best. This modern take on traditional, pointed pickets uses just one slanted cut to make an unexpected look. It’s a great way to add sharp style to your property. 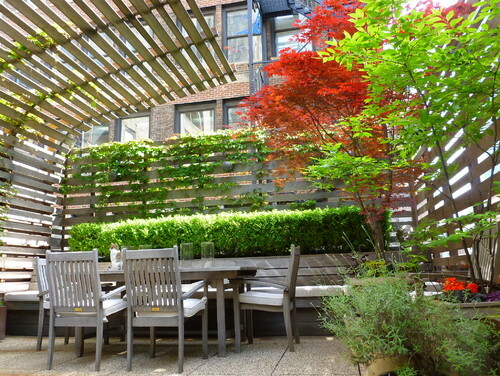 You don’t need a monolithic wall to enjoy privacy in your backyard. This fence steps down in sections to add interest and allow more a view wherever possible. The rounded pickets also soften the look. 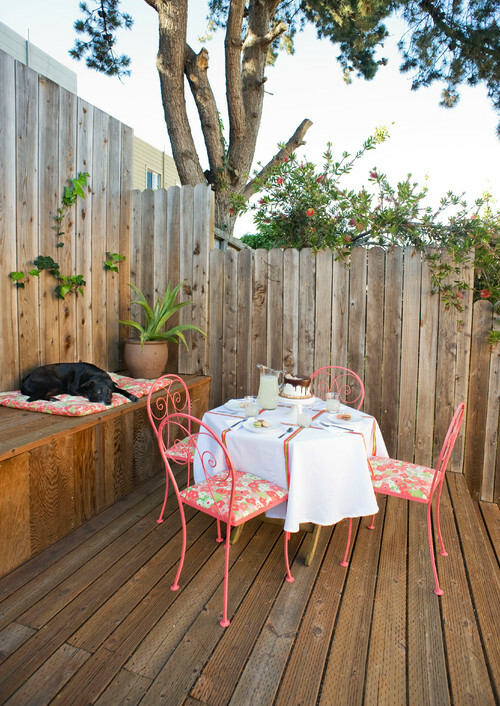 This horizontal fence creates a pattern of wide, narrow boards for more visual impact. The real kicker? The addition of a curved canopy to the top of one side to provide shade and additional privacy.